I was asked to create a piece for Bialosky Architects’ new space in Cleveland's Midtown neighborhood, located at 6555 Carnegie Avenue. 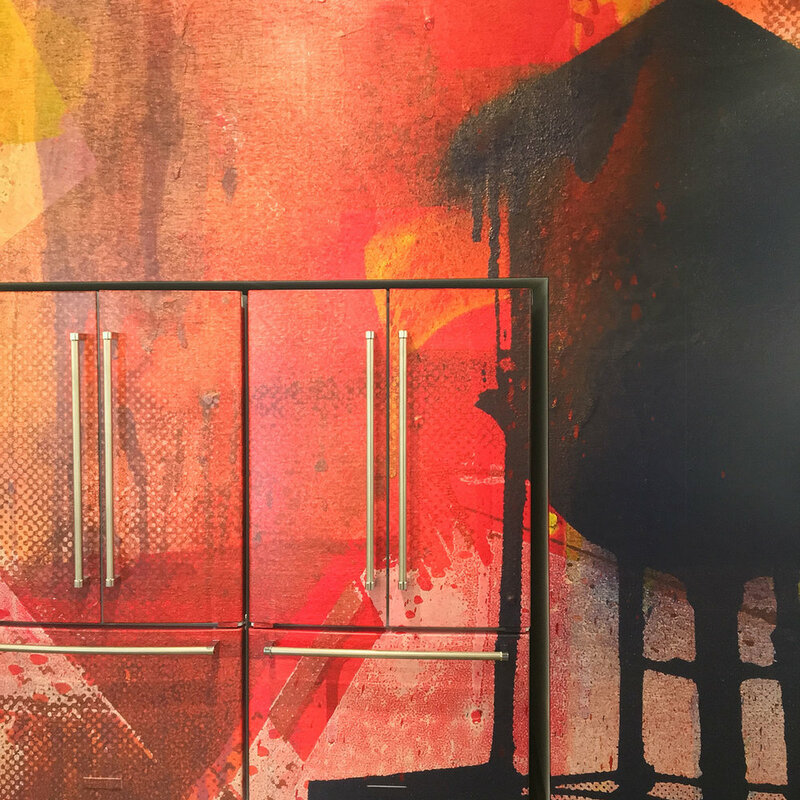 The goal was to pay homage to the neighborhood with a street art flavor - inspired by its textures, colors, and imagery. 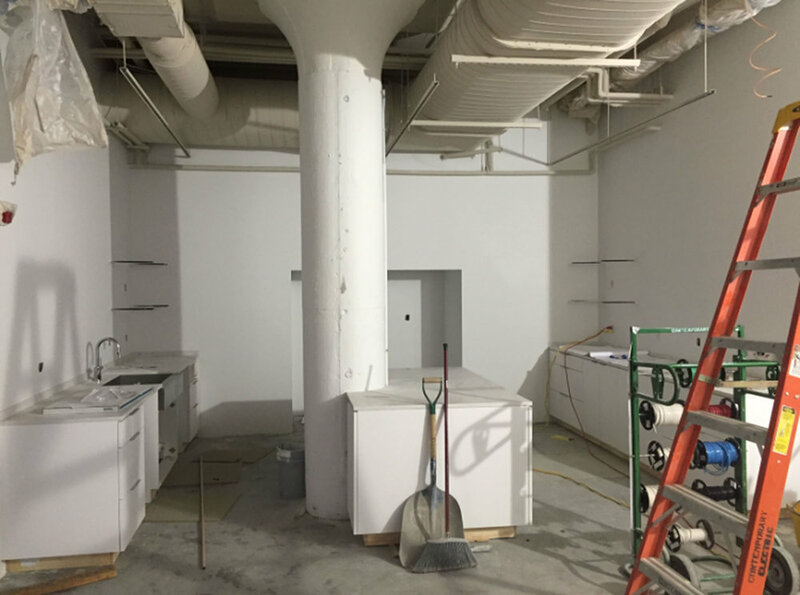 Bialosky requested a piece that would make a bold statement yet complement the overall simple and clean aesthetic of their new space. I created a multi-layered mixed media piece on wood - combining screen printing, acrylic, and spray paint. Original piece measured 18”x24”. 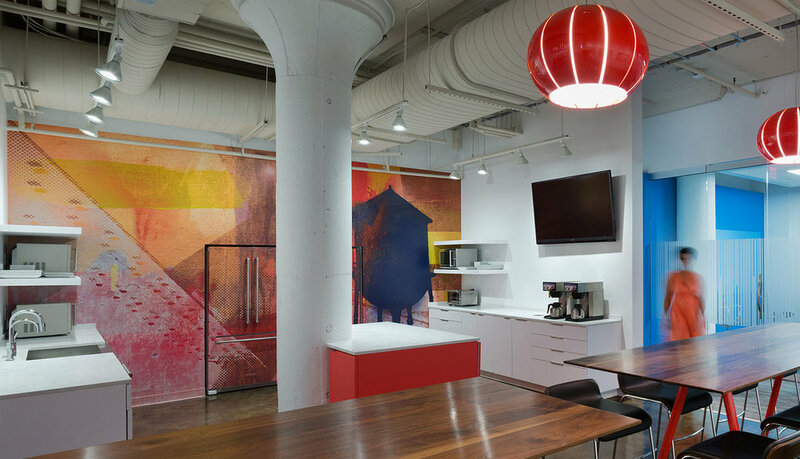 The original was digitally duplicated and installed in a full wall wrap in Bialosky’s new kitchen.